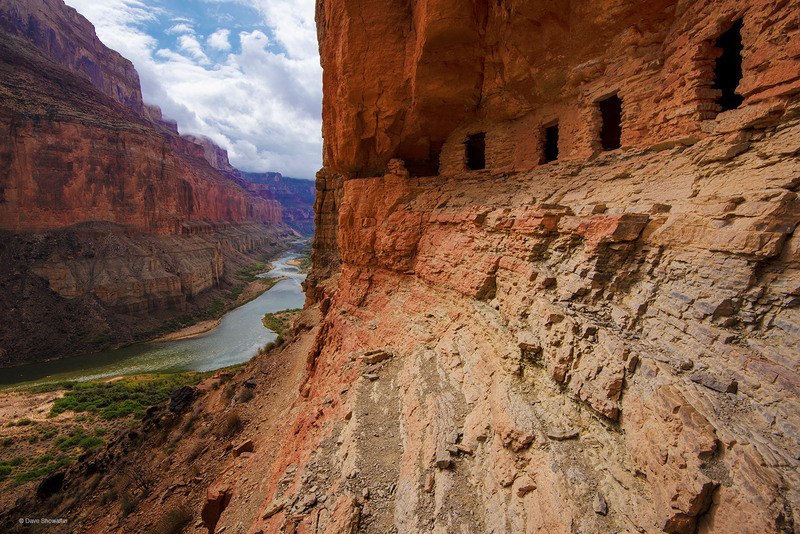 Windows of an Ancestral Puebloan granary overlook the Colorado River and once-farmed plateau below. Eleven hundred years ago this was a thriving agricultural community where corn and pumpkin seeds were stored in this airy granary. Photo © copyright by Dave Showalter.